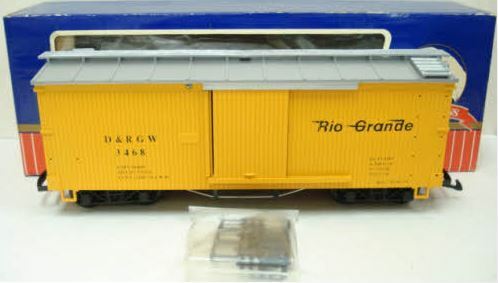 This is a USA Trains 3468 G Denver & Rio Grande Western Boxcar. This car features sliding doors, plastic trucks, latch couplers, plastic wheels and axles. The Trainz SKU for this item is 4240151.